Let other people play at other things; the king of games is still the game of kings. Polo, one of the oldest sports known to man, is magnificent, regal and magnetic — and commands attention with lush green fields, strapping riders on horseback galloping at a thrilling speed, powerful swings of the mallets and the rush of adrenalin when a goal is scored. From 3100 BC, several tribes in the villages of Manipur regularly played a version of polo. Documented proof of the king of games, however, goes back to circa 600 BC in Persia; and it is mentioned by Firdausi, a poet of repute, in his Shahnama. There is evidence of polo being played in China under the Tang dynasty around 584 BC. The game spread through Asia Minor to reach India. Emperor Akbar was known to have silver and gold knobs fixed onto his mallets. Known as chaugan since Babur’s time, the game was also called pulu. The Mughals continued to patronise it, both in play and in art — there is a painting that depicts Jehangir playing with his son Prince Khurram, later known as Shah Jahan. Indian maharajas of numerous princely states also took to the game; among them were the Rathores of Marwar (Jodhpur). Polo almost dropped off the radar with the end of the Mughal rule in India, but survived in Manipur and Gilgit (now in Pakistan). The British sought to institutionalise it as a sport. The first European polo club was registered at Silchar in 1859. A new set of rules was formulated, keeping in mind the safety of the players and horses. The oldest surviving polo club in Kolkata was founded by Joseph Shearer in 1862. Polo began to be played in England in 1869. In India, in the 1870s, the princely state teams were formed — Patiala and Jodhpur were two of the main teams. It became a way of life because of the subculture it spawned and because it was also played regularly among army regiments. “Shriji Arvind Singh Mewar (Udaipur) is mainly responsible for bringing together civilian and international players for his team. His son-in-law, Lokendra Singh (a former captain of the Indian polo team at the World Cup), is perhaps the first professional player in India,” says Colonel (retired) K. S. Garcha, an Arjuna Award winner, who has played in over 30 countries, having captained the Indian team in the 1990s. 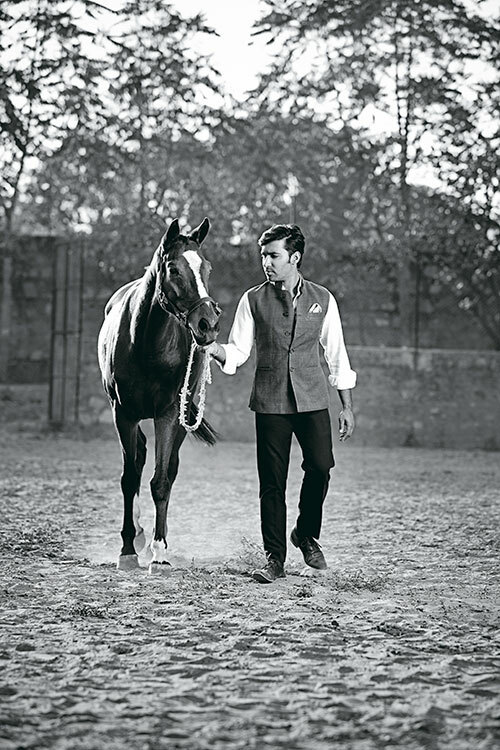 He dropped out of Hansraj College, Delhi to follow his dream — to play polo professionally. Kuldeep started playing while he was in the 10th grade. “I loved horses and polo always thrilled me. As a sport, it’s unparalleled. It’s not about the lifestyle that comes attached with it. For me, it’s always been about playing the sport,” says the first polo player from within his immediate family. The 25-year-old started playing polo in 2009. “I picked up nine horses with my father’s help. Now at a +2 goals handicap, I’ve played in England, China, Thailand and Zambia. I work my horses, school them for two to three hours and practise with the stick and ball, but a major chunk of my time goes into managing the whole set-up. You can work your horses only up to a point. 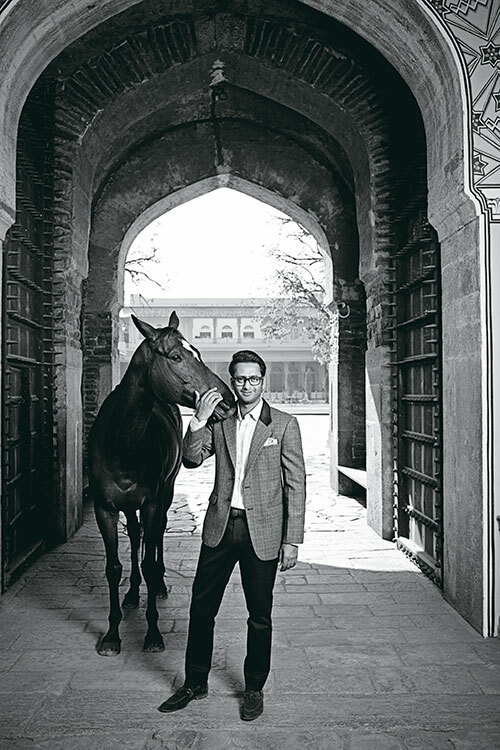 Post a five-year gap to complete his hotel management course, Pratap returned to professional polo in 2013. “I came back to help friends train their horses, bought some of my own and started playing. The challenge these days is that if you don’t have your own horses, no one will mount you. You need a minimum of four to six thoroughbred horses per player. Some sponsors do import polo ponies from Argentina or England but generally Indian horses are used. It’s very important to ride all your horses and practise hitting the balls while riding them. We play practice chukkers in Jaipur or in Delhi for about an hour and a half, depending on how many horses I have to work on, on a particular day, and this has to be systematically done. “It’s a thrill, an addiction for me. The plus point is also that this game doesn’t have an age limit — all we need is the stamina and practice to play. Most of our top players are in their 30s or early 40s,” says the 28-year-old exponent of the game. His grandfather, General Amar Singh of Kanota, was a polo enthusiast and the General Amar Singh Kanota Library & Museum houses many books and old manuscripts that document his involvement in the sport. ‘A Rajput who reads will never ride a horse’ is brandished as a proverb in these parts of the country, but he read and wrote prolifically, and also rode his horses. From 1898 to 1942, he kept a diary and wrote in it every single day — save for one day when he’d fallen off his horse and was unconscious. Pratap states, “There are so many books and photo albums on polo in our library and museum at Heritage Castle Kanota. I have proper stables and space in Kanota to care for my horses, and I give them regular practice. He smiles when I ask him about being chased by girls, “I’m out of that circuit, so to say,” says Pratap who recently got engaged. His fiancée hasn’t seen him play a tournament yet, though. When you call Vishvaraj Singh Bhati on his mobile, the ringtone plays an old number, The Strawberry Roan, where Marty Robbins croons, ‘Get your saddle, I’ll give you a chance’. He started playing polo while in Mayo College, Ajmer in the 10th grade. 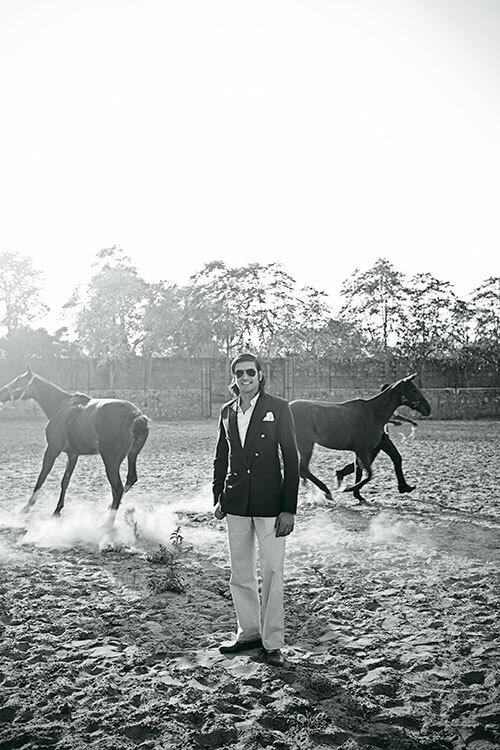 His uncle Lokendra Singh is a professional polo player and his inspiration.